Our Cycle Studio has 25 new cycle bikes and a great sound system to ensure you get the most from every class. 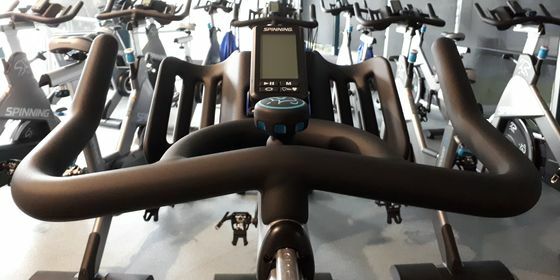 Our cycle bikes feature four-way adjustable seat position (up, down, forward and backward) as well as adjustable handlebar height for your comfort while training. We have over 15 classes each week so you are sure to find a time slot that suit you. With virtually zero shock loading to connective tissues and joints, cycle training gives you the ability to train at any level without fear of injury. All of our instructors are fully qualified to give you the support and guidance you need. And with our instructors guiding you, it’s a fun way to reach the level of fitness you want. Check out the Cycle Studio timetable.